Surgical strike on POK was on 28th of September, but politics on surgical strike attack is still going. Yesterday Arvind kejriwal , Sanjay Nirupam , Gehlot , P. Chidambram gives heartbreaking statements. After these statements whole country is angry and anger of people is looking by there efforts and on social media websites. But now Aam Aadmi Party, congress took U-turn. 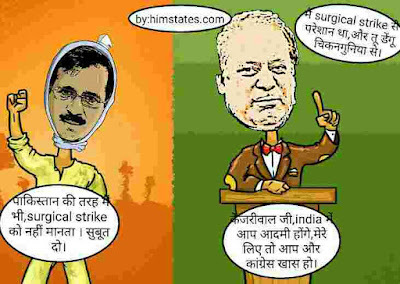 Kejriwal questioned surgical strike by saying , Pakistan is doing false propaganda by taking international reports to POK and saying that no surgical strike took place. He asked PM Modi to clarify this false propaganda of Pakistan, and indirectly to release evidences. Some congress leaders like former CM of Rajasthan Ashok Gehlot , Mumbai congress president Sanjay Nirupam , and former finance minister questioned surgical attack. Sanjay Nirupam said government should unveil evidences of surgical strike , he also said it looks fake issue and BJP is doing all this for political mileage. Ashok Gehlot former chief minister of Rajasthan also questioned surgical strike and should give evidence the way US released video while Osama bin Laden's operation, but who will tell him that US haven't released video till now. Former finance minister P.Chidambram also questioned surgical strike by Indian army. First U-turn was by congress party who said it was Sanjay Nirupam's individual thinking .Congress party is with government and they have full believe on DGMO's statement and Indian army. After congress party so called B team of congress party Aam Aadmi Party took U-turn and today Deputy Chief minister of Delhi Manish Sisodia said they do not want any evidences but central government should answer false propaganda of Pakistan. 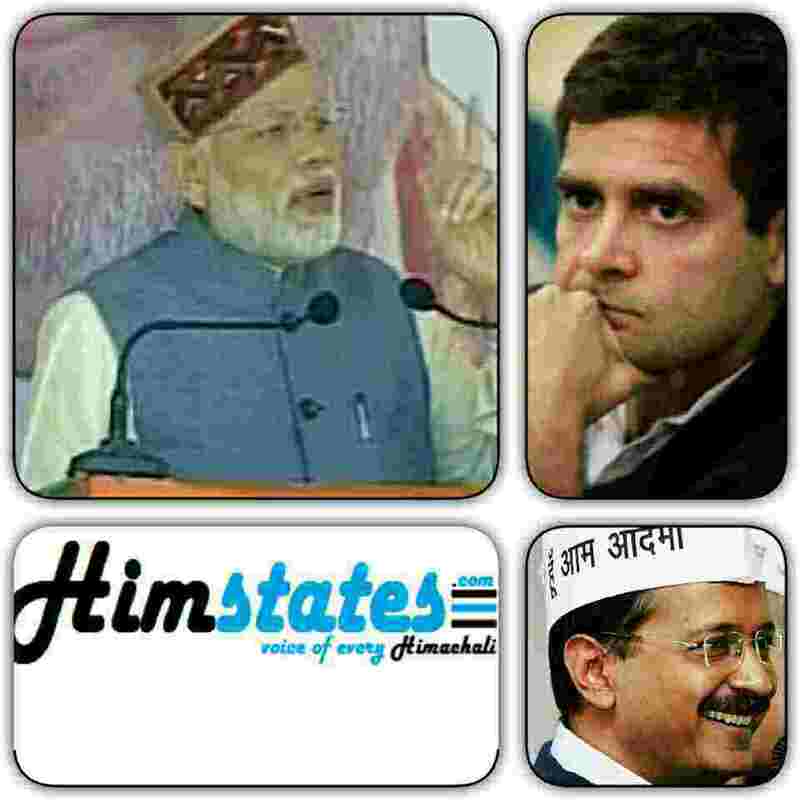 How people reacted on statement of kejriwal and Sanjay Nirupam? A man of ABVP threw ink on Arvind kejriwal and aam aadmi sena leader in Delhi threw shoe on Health minister of Delhi. Whereas in Mumbai BJP and shivsena protest against Mumbai congress president Sanjay Nirupam. Arvind kejriwal chief of Aam Aadmi Party and chief minister Delhi is today in headlines of Pakistani media channels for questioning surgical strike by Indian army. He indirectly asked for video release of surgical strike by Indian army. Kejriwal where praised and salutes PM Modi for surgical strike decision , and said he salutes PM modi for survival strike. But he questioned surgical strike by saying , Pakistan is doing false propaganda by taking international reports to POK and saying that no surgical strike took place. He asked PM Modi to clarify this false propaganda of Pakistan. Pakistan was on back foot in their on country after surgical strike by Indian army. Pakistani media is showing video of Arvind kejriwal in which he is asking proof of surgical strike. Statements of Indian political leaders like Kejriwal ,Chidambram and Sanjay Nirupam make Pakistani media and people smile . These all statements are really sad for country . These leaders are more dangerous than terrorists. BJP leader Ravishankar Prasad today had first press conference and said statement of Arvind Kejriwal is sad for country . Ravi Shankar Prasad said I want to ask Arvind Kejriwal , do you believe Indian army or not? He also said don't disrespect Indian army. Ravi Shankar Prasad in his press conference asked congress party president Sonia Gandhi , is Chidambram's State congress party's statement ,in ehih former finance minister P. Chidambram questioned surgical strike. Ravi Shankar Prasad said Chidambram's statement on surgical strike was very hurting. Ravi Shankar Prasad said he is asking this question because congress party congratulated Central government and Indian army for surgical strike. Vice-president of congress party Rahul Gandhi also praised surgical strike and PM Modi. He said in funny way in 2 and half year first time Rahul Gandhi praised PM Modi for something. Congress party leader and Mumbai congress president Sanjay Nirupam called surgical strike against Pakistan as fake . He said BJP is telling lie and this is all to take political mileage . BJP said today that it's culture in India ,there may be lots of political difference but on security issue of country ,all political parties should come together. But who will tell such a non serious leader that BJP is in power and they are in power with full majority. But these leaders like kejriwal , Chidambram and sanjay Nirupam will never understand Indian army and national security. On 28th September midnight India attacked Pakistan by killing more than 50 terrorists were killed. India killed these terrorists by surgical strike by Indian army. After this surgical strike attack all political parties come to support Prime Minister Narendra Modi and central government. 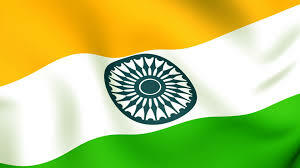 Bighest opposition party in India ,Congress party president Sonia Gandhi and Rahul Gandhi praised Central government. Sonia Gandhi praised Central government and congratulated Indian army for successive surgical strike. Whereas congress vice president Rahul Gandhi said this was the first good step by Narendra Modi from 2014. He also congratulated Central government and Indian army. Today Aam Aadmi Party chief and Delhi chief minister Arvind kejriwal released a video and said in video that surgical strike was a best decision by Indian prime minister and I salute Narendra Modi for it. He also added there may be lots of contradiction with prime minister and central government but on this serious issue of security and safety of country ,we are with PM Modi. government to raise issue of false propaganda of Pakistan ,about denying of terrorism in there country at international level. Ruling party of Bihar JDU also supported central government and president of JDU and chief minister of Bihar is biggest political enemy of Narendra Modi, but he said surgical strike was right decision and there can be no contradiction on national security issue. Shivsena chief Uddhav Thakrey called Narendra Modi after surgical strike and congratulated him and Indian army. So after a long all parties comes in support of central government and its good to have all parties together on this issue of national security and safety. Difference in Indian politics and Pakistan politics is quite simple Indian political parties stop all politics on issue of national security issue whereas Pakistan's second number party Tehrik -e-insaf party chief Imran khan attacked his prime minister after surgical strike and his eyes are on Pakistan politics and trying to gain his points in eyes of Pakistani people. Yesterday on 71st general assembly meeting of United nations Foreign minister of India and dynamic leader Sushma Swaraj represented India. Everybody was waiting for her speech after Pak prime minister Nawaj shareef's speech in UN on 21st September. What did Nawaj shareef said in UN meeting? Nawaj shareef called terrorist burhan bani as young Kashmiri leader. Nawaj shareef lies by saying that there is human violation in Kashmir. 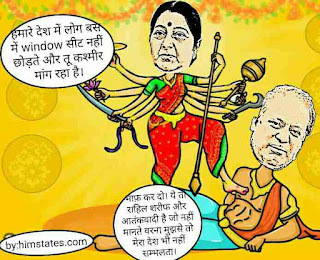 Nawaz also said in his statement that whenever dialogue is started with India, India presents conditions for talk. Indian foreign minister Sushma Swaraj presented her speech in Hindi language and it was well presented , every issue about work done in India like swachh Bharat Abhiyan , steps taken to save environment and bank accounts etc. Some nations are serving terrorist and they should be banned. She said Pakistan prime minister was talking about human violation in Kashmir but he didn't see human violation in Baluchistan. She said it in Hindi proverb as "Jiske ghar sheeshe ke hote hain vo dusro pe pathar nahi fenka karte". She also said on conditional talk statement of Nawaj Shareef. We have never asked for any condition. Congress party leader Shashi Tharoor said this was excellent speech and strong message have given to Pakistan by Sushma Swaraj. Aam aadmi party chief and Delhi chief minister Arvind kejriwal said this was a strong message and a very well speech by Sushma ji. 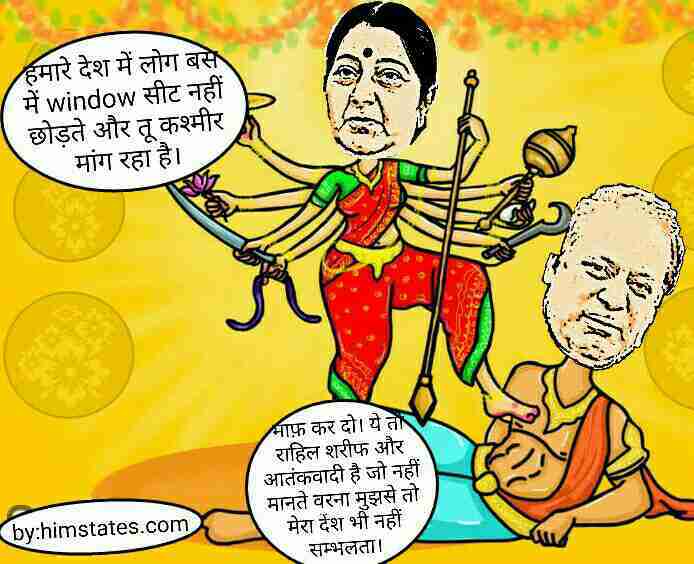 He also said that we are proud on Sushma Swaraj. Aam aadmi party leader Kumar Vishwas called Sushma Swaraj's speech as historical speech. Shivsena attacked government by saying in there magazine 'saamna' that now it's time to answer Pakistan in strict words not in words. Former minister and senior BJP leader from Jubbal kothkhai Narendra Bragta attacked congress government and local administration. 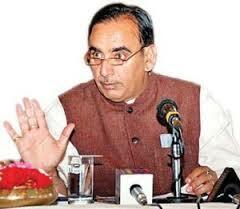 He was telling on bad conditions of roads in upper shimla area, specially Jubbal kothkhai hatkoti and rohru. Narendra Bragta said that roads in upper shimla are either closed or in very bad condition. He also added that in first rain of the season, most of roads are in very bad conditions. Former MLA from jubbal kothkhai siad that in first rain of the season theog-kothkhai and hatkoti road is in very bad condition.He blamed local administration and State government for this. Bragta said people are facing jam from last 48 hours . Alternative of theog kothkhai and hatkoti -rohru road is via tahu -khadapathar and patsari but that road is also in bad condition. Narendra Bragta said people are facing problems and it's getting difficult them to transport their fruits to fruit mandi. He said BJP has time and time raises issue that government had not taken care of roads during summer and now this is headache for local people. Roads are prime issue of this valley , Narendra Bragta have faced anger of Jubbal Kothkhai in last election and if this keep continue congress and Rohit Thakur Mla from Jubbal kothkhai and brakta from Rohru can face anger of people, because it's about there hard work whole year. Punjab politics is in interesting phase, Political dynamos are coming one after other in Punjab to show there power. Rahul Gandhi, Congress Vice-president declared Captain Amrinder singh as Chief minister candidate of Punjab in Majitha Rally in upcoming Punjab elections. Aam Aadmi party is not behind Congress party, CM candidate is not declared but in party manifesto Arvind kjriwal declared that vice-chief minister of Punjab will be from minority.Today in Patiala constituency of Captain Amrinder Singh, Aam aadmi party leader and Chief minister of Delhi Arvind Kejriwal did road show. Prime minister modi also addressed rally in Punjab and attacked congress party. Modi called Congress party as Sinking ship. Rahul Gandhi Declared Amrinder singh as chief minister candidate in presence of Navjot Singh Sindhu. 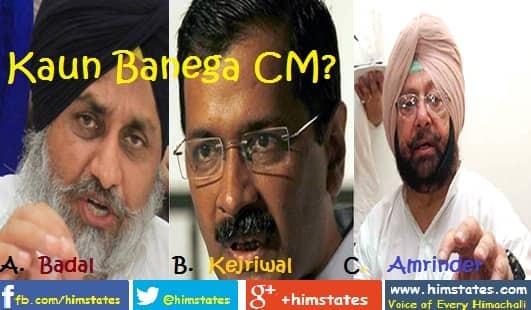 - Amrinder Singh will be Chief minister of Punjab. - 70 % of youth in punjab are drug addict. - Congress will make strong law against drug in Punjab. - Arvind kejriwal want to become CM of Punjab also. - What work Aam Aadmi party did in Delhi, that they are asking for votes in Punjab.They could not fulfil their promises. - Badal family had ruined life of Punjab. - Modi ji talks about Religion and Corruption , but how can he talk about these things with Shiromani Akali Dal and Sukhbir Singh badal. - Most of business and Transport are of just one family. Some People are diminishing image of Punjab for personal interest and making bad image of youth of Punjab. Congress party is Thrashing about for power , so trying to make bad image of punjab in country as well as world. Punish them who are trying to make bad image of Punjab. India Trust on Punjab and people of Punjab.Punjab progressed with unity of Hindu and Sikhs. No body knows what is congress wishing , what they want to do . They are like a sinking boat and no body would like to sit in sinking boat. Congress party imprecate Samajwadi party in Uttar- Pradesh and now they are alliance with them. 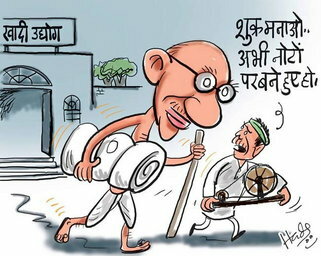 Congress party is past now. More than 150 Crore Rs. got from congress leader but congress did not said even a single word on that. NDA government have cleared pending loan of farmers. OROP costs more than 10,000 crore rupees but our government did that. Congress did not cleared OROP from last 40 year. In two years problem of Urea had been solved. Solution of all problems is in Development,If want to do politics do politics of development. We are fighting against black money and corruption ,but some people are disturbed with that. - 5 rupees full plate food like Amma kitchen in Tamilnaduin all Districts and small towns. - Up to 2 Lakh rupee loan for Minority people of Punjab. - Free Laptops for students above 8th Class. - Farmers will get relief on loan up to 5 lakhs rupees. - Vice-Cm will be from minority. - End of Property tax, 5 Lac cashless health insurance for treatment in Private hospital. - Leaders involved in Drugs business will be behind bars and their property will be seized. - All Farmers in Punjab will be loan free till 2018. - AAP MLA's and Ministers will not use Laal Batti Gaadi. - Employment for 25 Lakh people of punjab. - Drug free Punjab within one month . - Old age, Widow and Handicapped pension will increased from 500 Rs, to 2000 Rs.